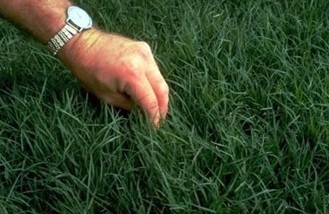 A top quality Bermudagrass which adds density and deep-green colour to your warm-season turf. For unsurpassed dark green colour in a seeded Bermudagrass, plant BLACKJACK. This vigorous,fene-bladed cultivar adds colour and density to any warm-season blend throughout the hottest summer months. In addition, BLACKJACK shows remarkable cold tolerance even in cold winter areas. If planting springs or pulgs makes your back sore, consider BLACKJACK SEED BERMUDAGRASS. You will get a dense green lawn all summer long.